What’s going on with your social media? Some aspects of selling have really changed. Sales professionals can use social media to reach out to and influence their customers. They can also meet new ones. In fact to grow a business, it’s essential to reach out to your customers. If they don’t stay connected to you, they will make new friends with your competitors. If they make new friends, they will just disappear. Below are 5 reasons why social media is a good thing for salespeople. This is the age of transparency and customers want to know who they’re buying from. You probably realize that we are entrenched with reality television. Everything from “Hoarders” to “Swamp People,” we are engaged in other people’s lives. Do you know what customers are saying about you online? 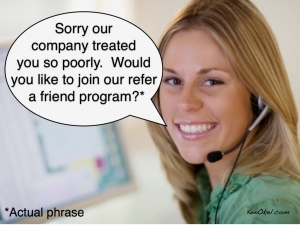 Managing your online reputation is essential if you expect to get good referrals. These days the referral business is up from 80% to almost 95%. 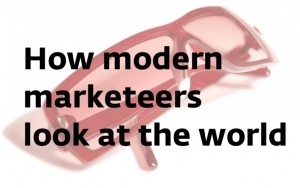 If the customer doesn’t know who you are, it’s unlikely they will do business with you. It’s important to ask customers to write referrals for you. You should Google your business and see what customers are saying about you. Social media will expand your customer base. New customers will be more likely to be interested in your products and your services if they see you online. Each salesperson should be posting information about their latest jobs, products and staying in touch with possible customers. You can’t have too many Facebook friends and fans! I suggest that salespeople contribute to social media daily. 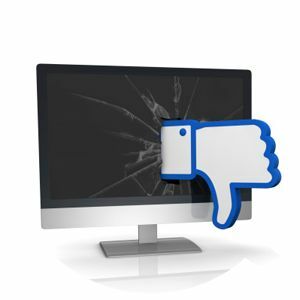 Some people hire outside consultants to manage their social media—not such a good idea. You want customers to stay close to you, not to your marketing people! Lisbeth Calandrino has been helping businesses build sales and marketing strategies for over twenty years. It’s time for all businesses to merge their sales and marketing. 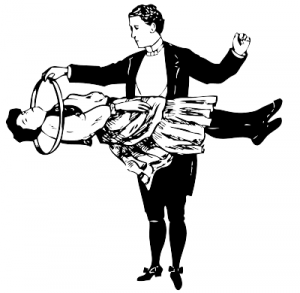 Who knows their customers better than your salespeople? To schedule a consultation or have Lisbeth speak at your business, reach her at Lcalandrino@nycap.rr.com. Even seasoned professionals get taken in by customers who use statements to put them off. Rather than take it up with the customer they just give up. Customer can bend the truth, especially if they haven’t made up their mind about buying. They will say just about anything to get out of the store. As a salesperson, if you’ve done your best, there is no reason to back off from the customer. START BY NOT BELIEVING THE CUSTOMER’S EXCUSES! If you believe them, it’s over. If you believe them you do not believe in yourself or your business. Here are 7 standard customer lies and ideas for selling them. I can’t afford it. Now we all have had times when we couldn’t afford something; that doesn’t mean we didn’t buy it! If you’ve explained the value of your product and how it will help the customer, they should be able to see that living without it would be a mistake. 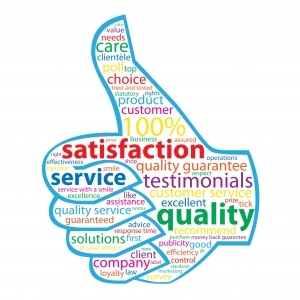 Ignore the statement and review the customer’s “conditions of satisfaction.” Give them the features and benefits that fit the customer’s key concerns. You can also suggest a product that is less money and explain the comparison. The customer may don’t let the customer scare you. Your job is to make them feel you have their best interest at heart, and your product is what they need. “We’re just looking.” You’ve heard this a million times and you might be tempted to leave them alone. My suggestion, don’t. Yes, people just look but if you leave them alone while they’re looking you run the risk of looking like you don’t care. Statements like, “We have some new products, and can I point them out to you? “We have a huge store; can I help you find the right products? These statements should be followed up with rapport building statements; anything other than trying to sell them. Talk about their kids, the weather or their smart phone. Don’t be afraid to tell them you understand, but you don’t want them to lose out on the product or pricing. Before they look around suggest that you review your product with them. Check out what they said about their situation and explain how your product fits the bill. This is really a funny statement. If you ask them what it will look like they won’t be able to tell you. They may say you don’t have it. This is a good time to ask them to describe the perfect product to you. If you can get them to talk about it, you will probably come up with new ideas. Your competition might be cheaper but are they as nice as you? In other words, building rapport and showing you care is more important than ever. Explain what makes you different and what you’re willing to do for them. Cheaper doesn’t always mean better even if it’s the same product. What special treats do you have for your customers? A comfortable showroom, an interactive web site that really helps the customer finds the right products. Plenty of social media chatter that shows that customer’s trusts you. You might familiarize yourself with your customer’s online reputation. How about this? A print out coupon they can only get on their smart phone while they’re in your store. If you have “wiggle” room, make sure it sounds legitimate. It might do the trick. Once you’re done, don’t forget to ask the customer what she thinks about what you’ve said. This is an easy closing statement that is overlooked by most salespeople. Lisbeth has been doing sales and customer service training for over 20 years. Reach her at Lcalandrino@nycap.rr.com. Why do Businesses say Stupid Things to Their Customers? On my way to the gym I pass this restaurant; today the sign outside says “No Cook.” I’m assuming that means they’re not open. Why would you put that sign up? This is just a ridiculous thing to post for your customers. What’s the point? What kind of customer service can a restaurant deliver without a cook? It brings up all kinds of thoughts for me. They don’t pay their help very much or why would the cook leave? 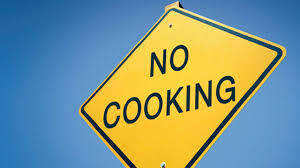 There will be no food until they get a new cook; will the new cook be good? Should I even try it? They don’t sound very resourceful, why not just start cooking? There must be someone who works or owns the place that knows how. Why do we care about your cook? It’s your problem now it’s mine. Why would you share any of your misfortune with your customers? Consumers don’t care about your problems only that you make them feel good. There was another sign on a restaurant door that said, ‘closed because of lack of customers.’ I guess that’s my fault; nasty implications with that sign. Customers always want to know, ‘what’s in it for me?’ There’s nothing in it for me when the cook leaves. We all listen to the radio station, ‘what’s in it for me.’ WIIFM. If you do something that inconveniences the customer you can be sure they won’t be happy. If you can’t make the customer happy, at least make them laugh, or hold their hands to improve the customer experience. Lisbeth Calandrino has been helping businesses build sales and customer service strategies for over twenty years. To have Lisbeth consult with you, reach her at Lcalandrino@nycap.rr.com. What makes you different and what is it worth? Everyone talks about value but what does it really mean? Simply put, it means going above and beyond what is expected. For instance, giving out cookies and hot chocolate during the holidays in your business can be considered added value. Cookies add to the festivities and are unexpected by the customers. Will all customers think they are added value? Probably not the people who are on a diet or don’t eat chocolate chips. Value added is a marketing and sales strategy for your business. 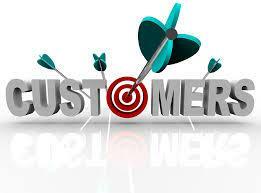 It helps customers remember you, build repeat and referral business and build differentiation. Once you know who they are, then you can go forward trying to figure out what you can do that they would like. So added value is something the customer gets and finds delightful. Imagine giving your customers a beautiful winter blanket on a beastly hot summer day. The blanket is worsted wool, with horse blanket fringe as well as being soft and warm. Delivered in the summer, it isn’t valued, in fact, becomes a problem. You might say, “I wouldn’t care when I got the blanket, it’s so magnificent. “ Despite your excitement, many of your customers would not be feeling the same. So treating the customers using your standards may not be adding any value nor getting any points from your customers. Instead of thinking what’s of value to you, find out what’s of value to your customers. For any of this to work, it must be determined within the context of your customers. Of course, we all have fixed budgets, but we still have to look at the customer’s criteria. I go into the gym daily. It has become an important part of my health plan. One of the things, besides all the people I know is the coffee that is served free of charge in the lobby. It makes a huge difference to me; it’s always fresh and somehow signals the end of a good workout. So it’s a big deal to me; no, it’s not rational but value isn’t rational. I know they make a big deal about wiping down the equipment after it’s used in the gym. (They consider this huge value.) Frankly, this doesn’t really matter to me; I know the best thing I can do is go home and change my clothes. I’ve been told the gym is one of the dirtiest places in the world so I don’t think a simple wipe down will help. In all of our lives, it’s the simple things that make our own world special. The world has changed, have you? You know what it’s like; you’re getting plenty of leads, but no one is following up. At first, just a few go by, but then they start to stack up. You’re also aware that the sales staff isn’t following up on customers who have come into the store and haven’t made a purchase. Every business needs fresh customers, but what about those who are good leads or have already been in your store? If you’re working harder at getting new customers than keeping old ones, you’re spending a lot of money on marketing. Think about it this way; every time a customer comes back or sends a referral, the average marketing dollar spent per customer goes down. Furthermore, a good salesperson will be cultivating customers who have bought before or paying attention to “hot leads.” The competent sales associate knows these are easier to sell. No matter how you’re gathering your leads, they’re valuable if you’re following up and closing them. If you’re not doing either, it’s like throwing money out the window. If this sounds like your business, the best thing you can do is start capturing customers’ home addresses and email addresses. Stop entering “Cash” on your invoice where it says, “name and address.” After all, if you don’t have customers and good will, what do you have? The National Retail Federation (NRF) recently said the only way to steer customers to your business is to help them cut down on their buying choices. One way to do this is to send them small bites of information that is both educational and fun so you ultimately become their trusted adviser. An article on “Tips for finding the right flooring retailer” can help influence a fresh lead or referral to walk into your store. The smart dealers realize that being high tech is not something for the future—it’s here now. I recently spoke with Cary Cass, general manager of Dolphin Carpet and Tile, headquartered in Miami, Fla. With over 30 years in the business and a member of the NFA (National Flooring Alliance), Dolphin is utilizing many online tools to help the customer stay connected. Being consistent with customer communications is the key. “White House, Black Market” a women’s clothing store targeting consumers age 25 and older, does an excellent job of staying in touch with the customer. By receiving their emails, post cards and phone calls, I feel like we’re old friends. I feel guilty not going in to look at their new styles. I know the communications are automated, but they’re still fun, informative and useful. Customers have many choices; why not be their first one? isbeth has been teaching businesses how to improve their customer service and the customer experience for over 20 years. To schedule a consultation or have her speak at your business, reach her at Lcalandrino@nycap.rr.com. If she’s not in her office, she can often be found mornings at the YMCA in East Greenbush. Customers don’t tell you when they’re getting ready to leave–they just leave. 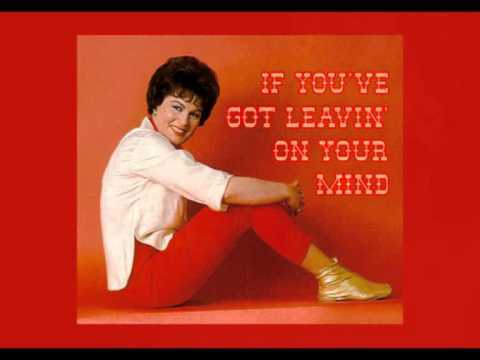 I was listening to Patsy Cline sing, “Do you Have Leaving on Your Mind?” She’s asking her lover to tell her if he wants out. Customers rarely tell you their leaving—they just go. The years 2008 and 2009 were tough years on many businesses. When the dust cleared you found you had lost many of your “regulars.” Sure some of this was due to the economy, but how much of it was due to “negligence” on your part? The statistics in 2014 are no different than they were 20 years ago. 68% of customers leave because of the treatment they receive and 71% specifically said because they received poor customer service. Here are some ideas for keeping those “cheatin” customers. 1. Make it easy for them to talk with you. Is your voice mail filled to the brim? Do you resist picking up the phone when you’re really not that busy? The nicest thing you can do for a customer is to answer their phone call or at least sending a quick text that you will can back in a few. I love the phone app that sends a text to callers telling them you’re driving, and you will call back once you reach your destination. 2. Have you noticed them in the “box” stores? After my gym workout, I stop at one of the “box” stores to be nosy. I walk the departments to look for signs of “cheating customers.” You know the type; they’re laughing and getting friendly with the store clerks. They are hanging around making small talk. Good businesses know that small talk can lead to big sales. Maybe the customer just needs a friendly hello? 3. How good are your salespeople at “small talk?” Some clerks are “all business” and forget that before business there’s small talk or building rapport. People still buy from people they like and feel comfortable with. 4. Can you get your customers to follow you—everywhere? If you want to get follow, it should be “around the Internet.” Are customers connected to you in the usual places— Facebook, Google +, Pinterest, Houzz and to your blog? Do they like what you post? 5. Be “nicer than nice.” Do your employees have the latitude to go out of their way for your customers or does everything have to be cleared through the manager? As a customer, we all want to speak with someone in authority. Lisbeth has been teaching businesses how to improve their customer service and the customer experience for over 20 years. To schedule a consultation or speak at your business, reach her at Lcalandrino@nycap.rr.com. If she’s not in her office, she can often be found mornings at the YMCA in East Greenbush. If You’re Not Following Your Customer Who Is? It makes it easy for you to stay in touch with your customers. Everyone knows they should be following up on sold customers but how many do? It’s not just sold customers; what about customers who have been in your business and haven’t decided to purchase? Maybe you made one phone call and then got busy. We talk about managing the customer’s experience; how can you do it if you’re not in touch with the customer? You must stay in touch with your customers if they are to remember and refer you. It’s not that we don’t want to do it, we just get busy. Salespeople have a tendency to be motivated by “shiny objects” called new customers. It’s the hunt. Can I close them, how much money they will give me, this is exciting. In actuality the new customer is all about “smoke and mirrors.” No one knows anything about them and that seems to be the allure. What about the customer who purchased twenty thousand dollars of tile from you three months ago? At one point they were the “allure” and now they’re among the missing. 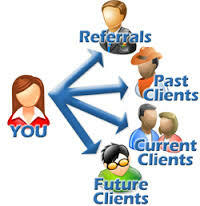 You might be tired of hearing this but 90%, it’s gone up from 80% two years ago, of your customers come from referrals. It’s the customer who you said “Thank you so much to,” and then shoved out the door. You promised yourself you would send them a thank you note, remember their birthday and swore you would call them. But then the “shiny object” came through the door and you were off and running. The customer can’t refer you unless the remember you. While they are tethered to their tablet and cell phone you are the last thing on their mind. If it matters to you, make it a priority. What about the customer whose home you measured but never closed? After you got over the fact that they dumped you again you ran after the next new customer. Maybe they didn’t dump you after all but if you don’t follow up how will you know. Another lost opportunity. I’m telling you, the gold is in the sold customers. But, what are you doing about it? Greg Incardona from Followyourcustomer.com and I had the opportunity to have an interview with Dave Foster about sold customers. 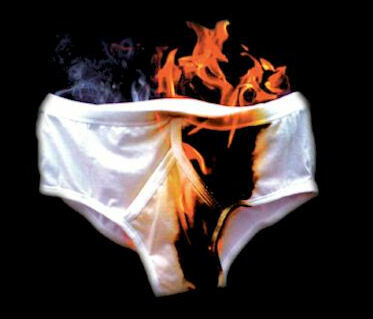 If you would like to do a better job with this, listen to our audio interview with Dave Foster. http://bit.ly/18eZd7c. Lisbeth Calandrino has been consulting with businesses for the past twenty years about sales and customer service. If you would like her to speak at your business or schedule a consultation, reach her at Lcalandrino@nycap.rr.com. She lives in Historic Hudson Park, Albany, New York with her cat Rainyday. 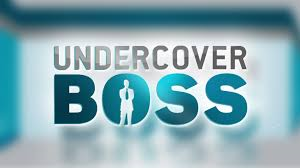 After watching season after season of “Undercover Boss” I’m thinking we need a show called “Undercover Employees.” They could find out what their bosses are doing. “Undercover Boss” is an American reality television series, based on the British series of the same name and producted by Studio Lambert in both countries. Just as the title suggests, the boss goes undercover to see what his entry-level employees are doing. Two things that seem glaring; there is little customer service training and “bosses” don’t know what’s going on in their businesses. In fact, most of the bosses are amazed at what’s going on! I was watching the “Undercover Boss” last week and was disturbed by the boss’s decisions. He was very generous with the employees he worked with, giving them large sums of money. The problem, as I see it, is that people were getting money to help with their “troubled lives” but weren’t asked to “better themselves” or attend schools, so they could obtain leadership positions. My hunch is the people will spend their money, have great vacations or new toys but what will they have learned? I believe that people will be more apt to change is there are some conditions to these generous gifts. In fact, I feel so strongly about it. I sent a letter to the “Undercover Boss” and sent some customer service books. I don’t know if I’ll get an answer, but maybe the letter with my suggestions will get read! My biggest gripe, where in the business world do people get free handouts with no “strings attached?” And what’s the point if the gift isn’t connected with your business? One great thing about the program is that bosses get to understand their employee struggles and help them grow. One of the best ways to help them grow is to provide opportunities for them to advance within the organization. Promoting good employees is essential to their learning. In order for a business to perform adequately the “boss” must be able to communicate with his employees. There must be a way for the boss to know what their employees are doing without spying on them. This reminds me of mystery shopping; another task that I think is ridiculous. If you think, you’re employees are not acting appropriately they probably aren’t. This problem usually starts when a company doesn’t have a suitable training and accountability program. Teaching and training is one thing, if you don’t hold people accountable for what’s expected to don’t waste the training program. CEO’s must create a business model that is in line with the customer’s and employee needs. Everything goes back to customer service and how customers are being treated. Front line employees are the ones who need the training and usually get the least amount. Because they’re not seen as the ones who “bring in the money,” they typically don’t get best training. So far, 100% of the companies have leaders who have no idea of what’s going on in their businesses. How sad. Many of the problems could be avoided if the leader spent time reading employee evaluations and staying in touch with their businesses. No matter what business you have, the only thing that makes it work is the customers. The first customer of any business is the employees. Lisbeth has been coaching business for over 25 years. To schedule a consultation or have her speak at your business, she can be reached at Lcalandrino@nycap.rr.com. Lisbeth lives in Historic Hudson Park in Albany, New York, with her cat Rainyday.